I could not but share this here. I was compelled to. 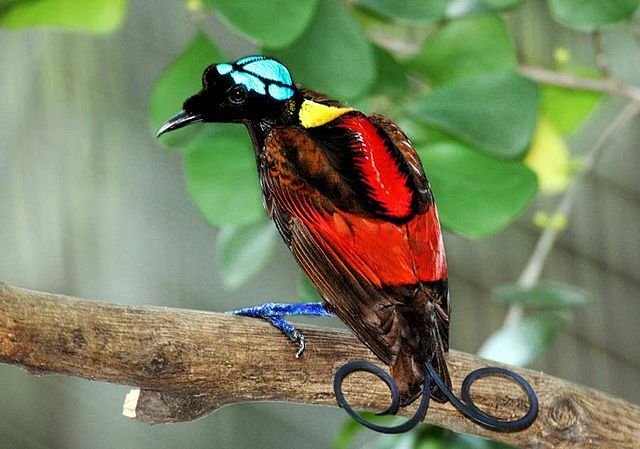 The Birds of Paradise – 39 species of birds found only in the wilderness of New Guinea. Beauty like you’ve never seen before, made possible by over a decace of work by Ed Scholes, a Cornell Lab scientist and Tim Laman, a National Geographic photojournalist. For over a decade they have worked on the Birds of Paradise project to capture Mother Nature in one of her finest displays. Be prepared to spend 5:37 minutes watching this video. Be prepared to be awe-struck. Be prepared to let Nature surprise and amaze you. Allow Mother Nature to wow you today. , here’s some of the feedback they got on it. You needn’t comment. I was speechless after I watched the video. I’m saving this video and on days I feel low I’m going to watch these beautiful birds who have such wonderful survival instincts and remind myself to spend more time with Nature. Wow! Such stunning birds. Thanks for sharing, Corinne. 🙂 We love watching the birds cavort in our backyard, but they’re not nearly as colourful or interesting as the ones in this video.